It’s the end of the National Chocolate Week and there have been a lot of chocolate stuff going on in London. I wish I could tell you about all the fun I was having in there in London, but I wasn't there! So, from the comfort of my couch and laptop I thought I’d share with you some of my favorite chocolaty things for my Five on Friday. In the early days of my blog I was going to have a whole thing about my quest to find the best brownie recipe ever! Then I sorta stopped. However I have found my favorite brownie recipe and I haven’t used another one since. I wrote about them in the post Bribe Worthy Brownies (I still haven't taken my driver's test O_o ) and a look here for more brownie recipes! He could secretly be made of chocolate. 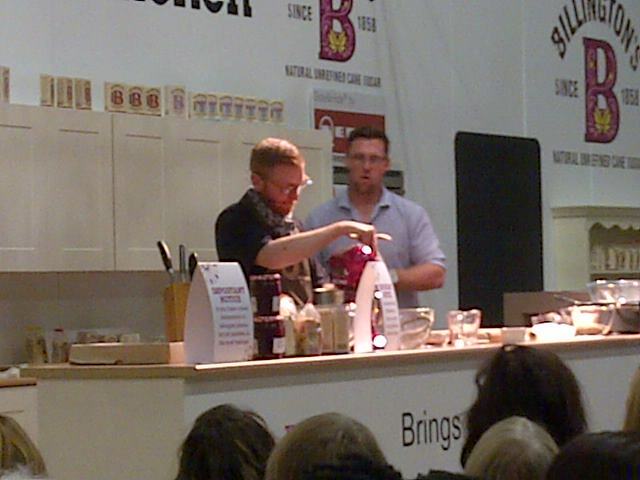 When I got to meet him briefly at last years Cake & Bake Show, he was super friendly and happy to answer any questions. I love his book and I love his shop(s). His book is full of amazing chocolate things and his store is filled with amazing chocolate treats! (His brownies are freakin’ amazing! If you want to know about my visit to his shop I wrote about here and if you want to know more about his book I wrote about it here and more about when I meet him look here! They have great chocolate and the range of flavors and products is astounding! It is a bit pricey, but it’s part of why I think of it as such a treat! One time when I was pregnant I bought one of the Caramel Slabs and I hid it in the back of a cupboard so my husband didn't know about it because I didn't want to share and in 3 days I had finished the whole thing. So, unless he reads this he'll never know about it. I don’t ever think I ate anything so chocolaty and so rich as this cake. It is the cake that I found myself sneaking to the fridge with a fork to steal bites of it. Then when the cake looked a bit funny, due to the fork marks in it, I had to have a few more bites to even it out. Why I didn't just cut myself a slice is beyond me. More about the blackout cake here! I know I like high-end chocolate from places like Paul A. Young and mid-end chocolate from places like Hotel Chocolate, but there is something to be said about a Galaxy Ripple. I mean sometimes you just want a creamy chocolaty treat! These are my go to chocolate in times of need. 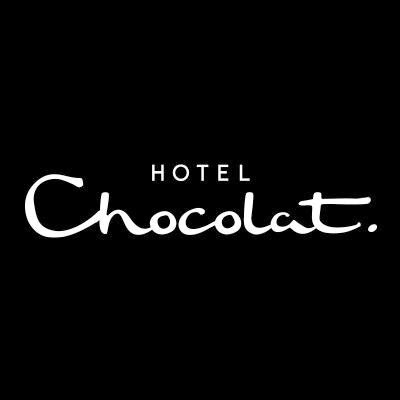 notes: Pictures are my own, except the Hotel Chocolate logo, it is from their website. All opinions are my own, no compensation was given for this post. Please see my contact/policy page for further information. Mmmm! All so, so good!